Wildlife sound recording field trip to the Black River Valley, central Sweden 24-28 April 2019. If you like the idea of waking in the forest to the bizarre sounds of a capercaillie lek, or drifting along an empty river in a canoe with snipe displaying around you and maybe a beaver gliding past, then you should think about joining our 2019 trip to Sweden. These trips are particularly appealing to sound recordists but we also welcome anyone with an appreciation of nature. Small group sizes and our knowledge of the area give you the chance to get close to wildlife without disturbing it. The Black River valley lies in central Sweden about 100km west of the capital Stockholm. The area has been designated as a European Natura 2000 site outstanding for its nature and wildlife and is part ot the UNESCO’s Biosphere Program. The Black River valley is also listed on the International Convention for Wetlands RAMSAR. April is a magical time in the forests and wetlands as early spring birds display and establish territories, whilst other birds pass through on their way further northwards to their arctic breeding grounds. This is also the best time to experience the spring chorus of frogs and toads in the local rivers and lakes, either from land or by getting out on the water in a canoe. We visit a special local forest lake to place overnight recording gear to capture the beautiful echoing calls of black-throated divers (loons). Another highlight of this trip includes the rare opportunity to experience the strange display of the capercaillie; a turkey-sized forest grouse which visits its traditional display ground in April. 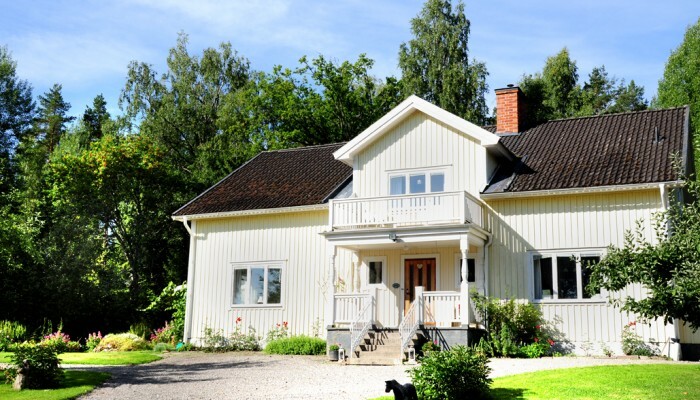 For the 2019 trip we stay in a large comfortable typical Swedish farmhouse sleeping up to 7 guests. The house has direct access to the Black river, the surrounding wetlands and forests so in your free time there are plenty of opportunities to experience the sounds of nature on the doorstep. Equipment available for shared use on all of the trips will include a Telinga stereo dat microphone/parabolic dish and a binaural dummy-head microphone. We can listen back to recordings on a pair of Genelec 8010 studio speakers. The trips have been planned to maximise time out in the field so no sites we visit in the minibus are more than 30 minutes drive. As well as planned site visits there will be plenty of time for independent exploration of the local area. Each day is planned in accordance with the weather and the wildlife present. Stefan knows the area well so there will always be plenty of options. Kari prepares the excellent healthy food menu which uses local organic produce wherever possible. Small scale. Group size max 7 guests and 2 leaders. Use of selection of microphones including Telinga dish, JRF contact + hydrophone, binaural dummy-head. Extras such as bicycle and canoe rental, guided beaver safari tour. Swedish cash – enough for extra activities. VISA/Master Card are accepted on site (see costs below). Stefan is an experienced naturalist who has worked in nature conservation with both the RSPB and National Trust, and is currently studying for a Masters degree in Applied Wildlife Conservation . 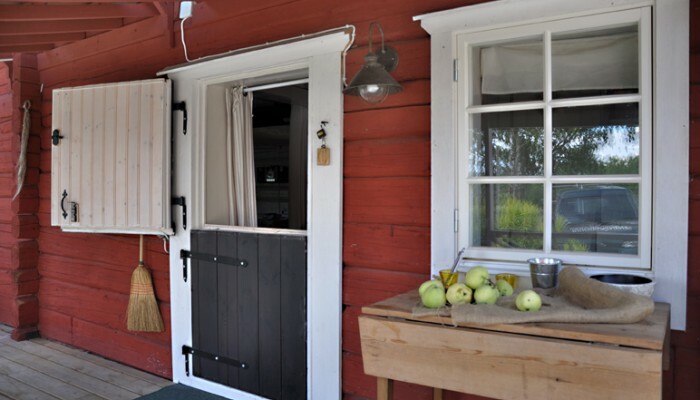 He is half Swedish and spends as much time as possible at his small wooden cabin here. The lack of human noise pollution in the Black River valley has revived his early interest in audio recording of the natural environment. Stefan is responsible for the locations, guiding, admin and logistics for the trips and is your first port-of-call for any questions on practical matters as well as questions about the wildlife. Kari is a nature enthusiast and has been visiting Sweden for the past 7 years. She is a qualified Yoga teacher and recently retired from a career in journalism at The Times newspaper. This project gives her an opportunity to combine her love of nature, Sweden and cooking – being a keen amateur foodie and allotment gardener. As well as being in charge of the food Kari also offers individual yoga or mindfulness sessions to anyone who may be interested. More sound-, and pictures from our Sound Recording Field Trips can you find in the FaceBook-group ‘Black River Sweden‘. E-mail: stefantaylor61@gmail.com (cut & paste).